They stand as vestiges of a bygone era of transportation, reminders of the age of the horse. 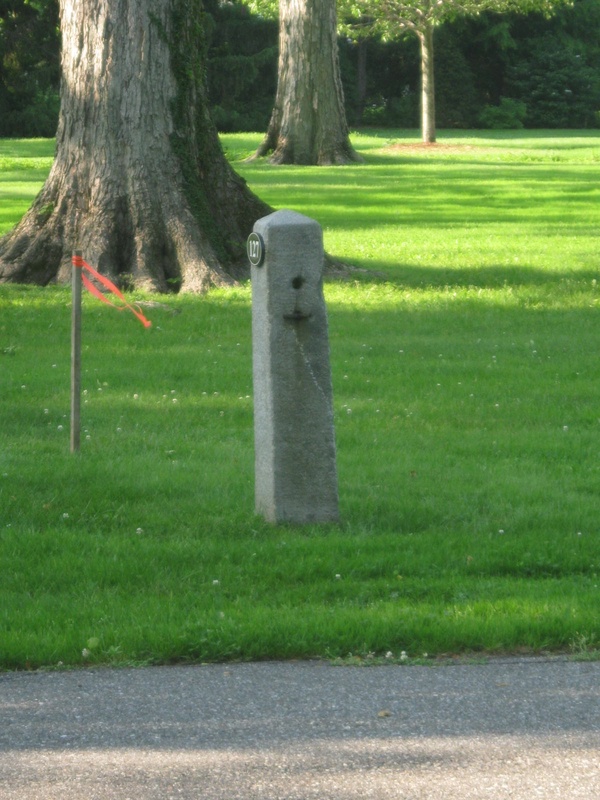 More than a dozen hitching posts remain along the streets and sidewalks of Litchfield. They evoke, in the imaginative passerby, images of riders in the saddle, of wagons or coaches, of landaus or sleighs. 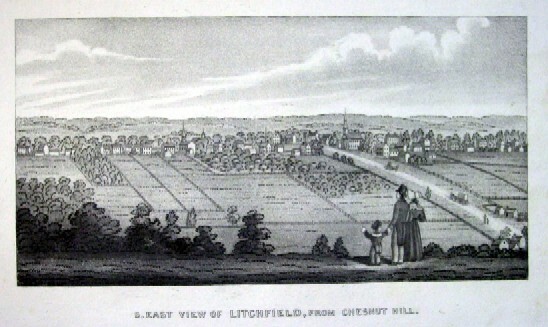 Illustration from John Barber, “Connecticut Historical Collections,” (1838) showing horse-drawn traffic entering Litchfield. 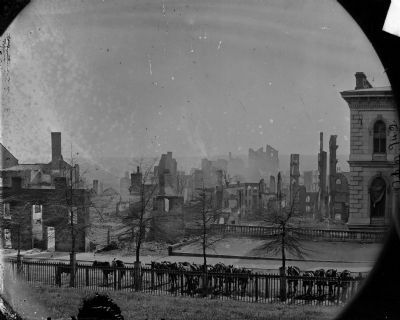 Americans were a restless people in the 18th and 19th centuries, crossing the Appalachians and pushing the frontier first to the Mississippi and ultimately to the Pacific. This was accomplished primarily on horseback or with wagons. The horse played a vital role in Litchfield’s commercial life; as the railroad did not reach the town until 1872 and there is no navigable waterway, all goods had to enter town via horse-drawn conveyances. Hitched horses, RIchmond, VA, 1865. 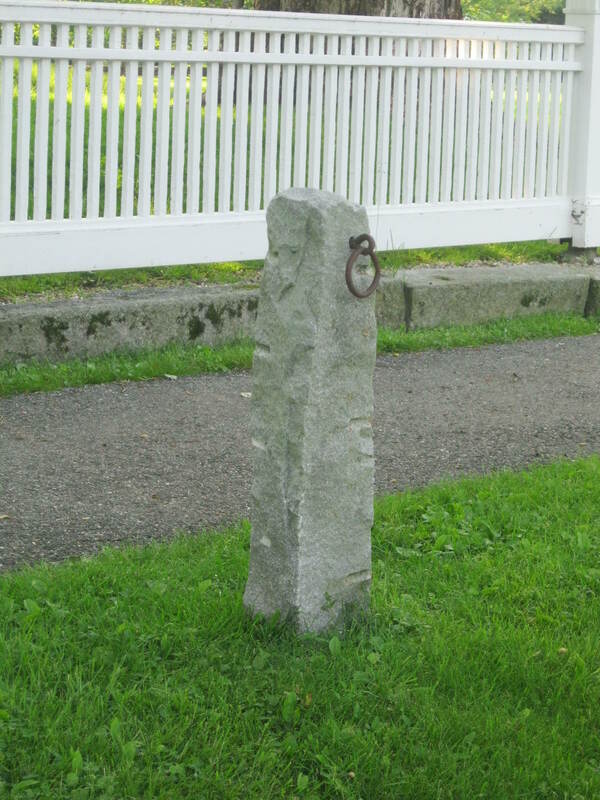 The hitching post was the parking space of the 18th and 19th century. Most houses had them; it is likely that nearly all commercial enterprises had them. Hitching racks secured several horses at one time. Upon arriving at his or her destination, the rider would dismount the horse or vehicle, and tie the reins which were attached to the horse’s bridle to the post with a “hitch”, a type of knot or tie. 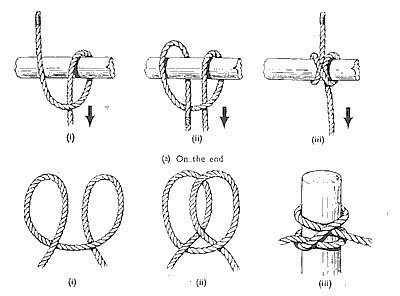 Hitches varied in style, and travelers could opt for the simple clove hitch if they had only a horse and were in a hurry, or the more difficult but secure rolling hitch to secure a wagon or carriage. 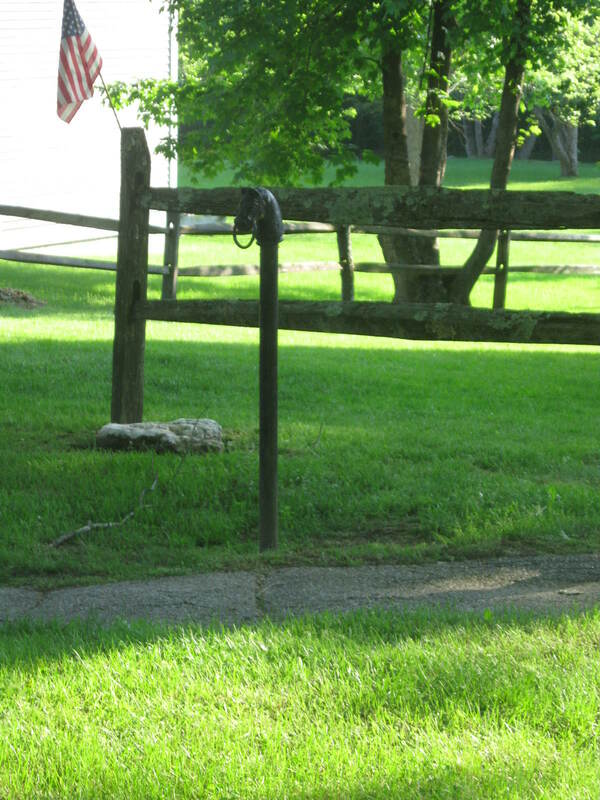 Hitching posts are of different materials and sizes, and present a variety of ways in which a rider could secure his horse. 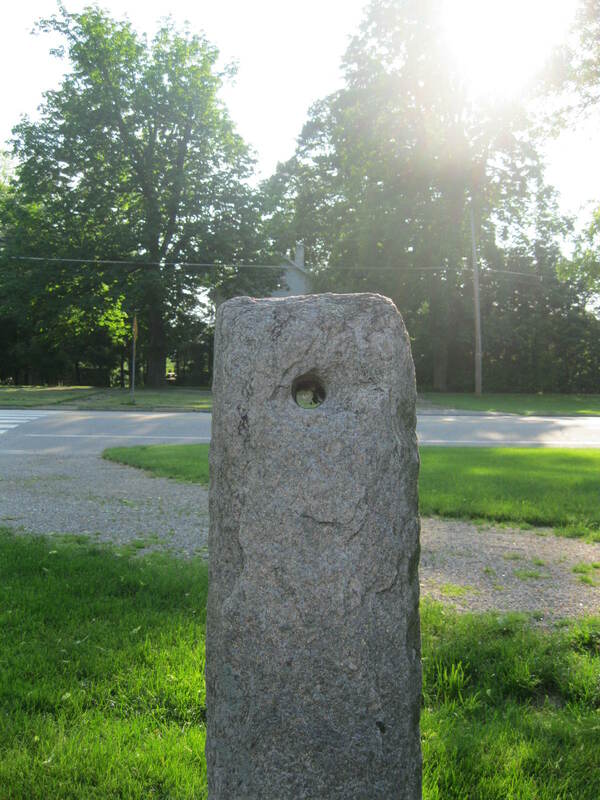 Those that remain in Litchfield are most often made of granite, although there are examples of sandstone posts as well. One wonders about the industries that grew up to fabricate the posts. 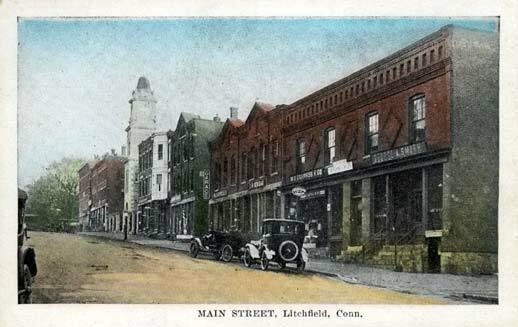 Were they presided over by local craftsmen, or were they brought in to Litchfield from distant manufacturers? 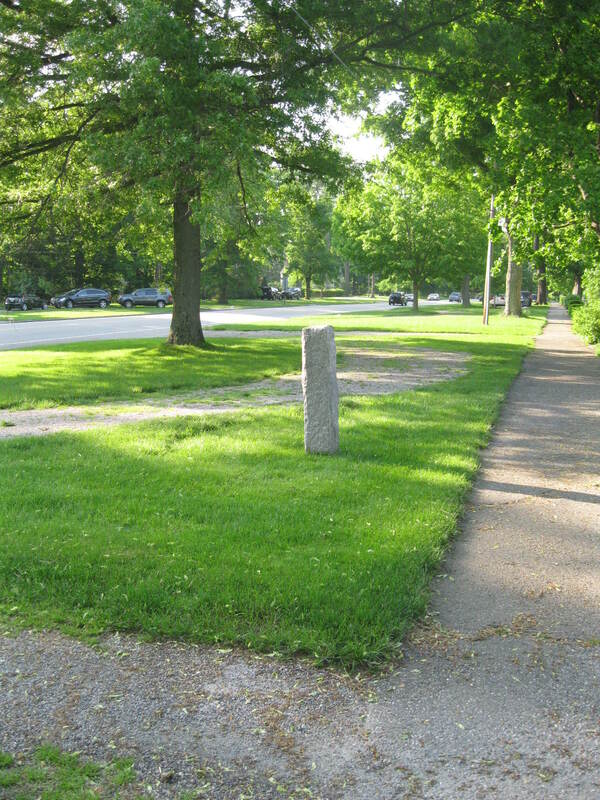 Most often the posts are found near the present sidewalks. 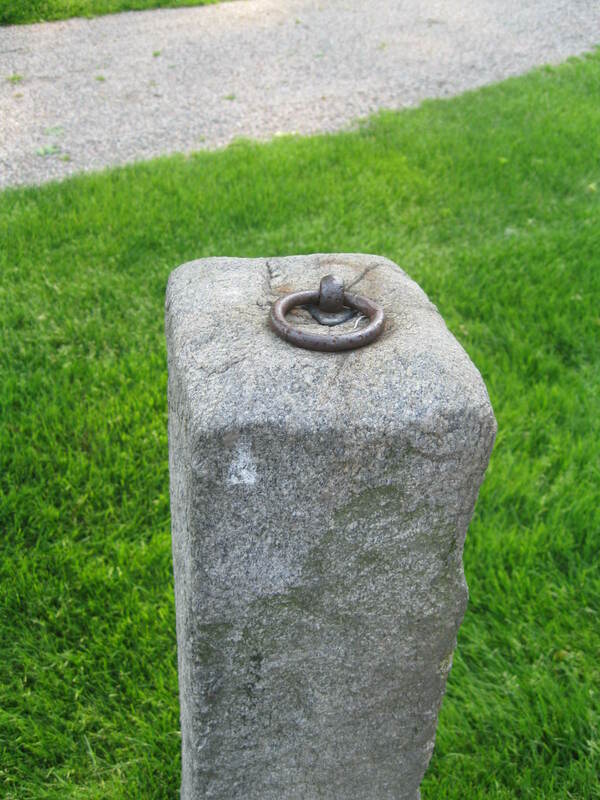 One walking the sidwalks on North and South Streets sees many examples of hitching posts. They stand close to the sidewalks, most often as solitary sentinels. However, the careful observer will see a house on Prospect Street with twin hitching posts. This cast iron hitching post was likely made outside of town. Molten iron was cast into the desired design and allowed to cool. 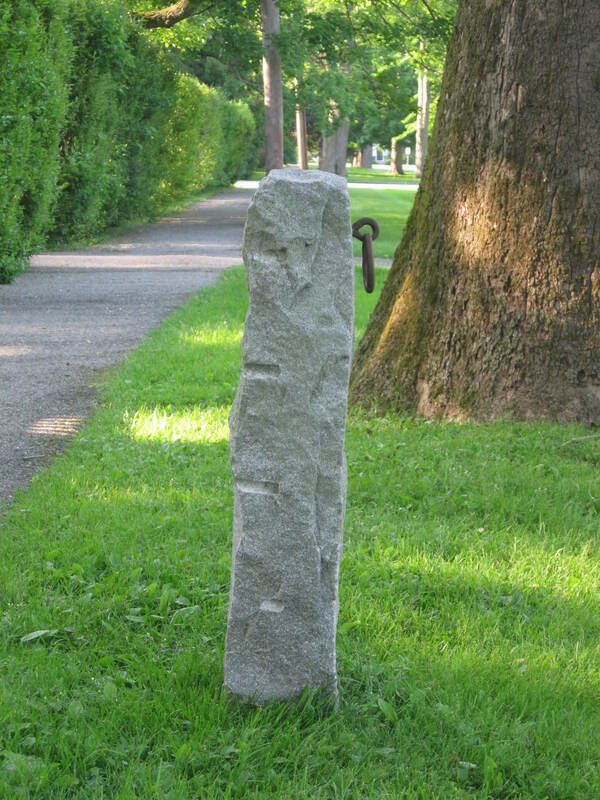 A simple search for “hitching post images” reveals many different designs of cast iron posts. Why do more not remain? Perhaps many were made of wood and eroded over the years. Did owners remove their hitching posts when automobiles made them unnecessary? Did the paving of the roads widen existing roadways and necessitate the removal of posts? Are those that remain all original, or were they erected simply to be ornamental? Many of those that still stand have house numbers posted on them. While obsolete, there is a sort of grace and beauty to them. It is doubtful that anyone will ever say the same about parking meters. This entry was posted in History, Uncategorized and tagged horses, Litchfield, Roads by pvermily. Bookmark the permalink. Nearby Sharon, CT retains a large circular horse troth at the town’s main intersection. This handsome vestige has been converted to a planter maintained by the local gardening club. What would our forefathers have made of this?